Pedicab advertisement will take your brand to another level. It is a unique and innovative approach to outdoor advertising. Think of the Pedicab as a moving billboard. It’s not stationary, its always in motion, which is what the human eye is naturally drawn too. 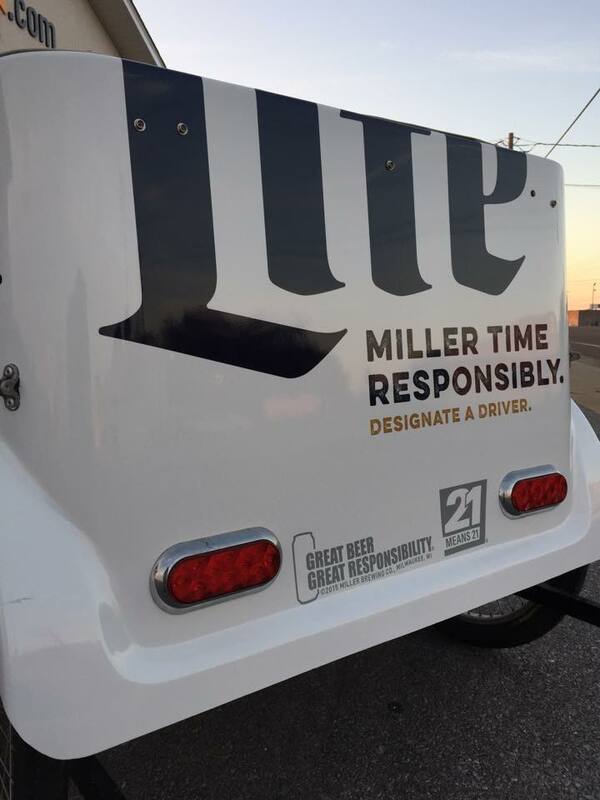 10-100,000 eyes can view your moving brand over a weekend. 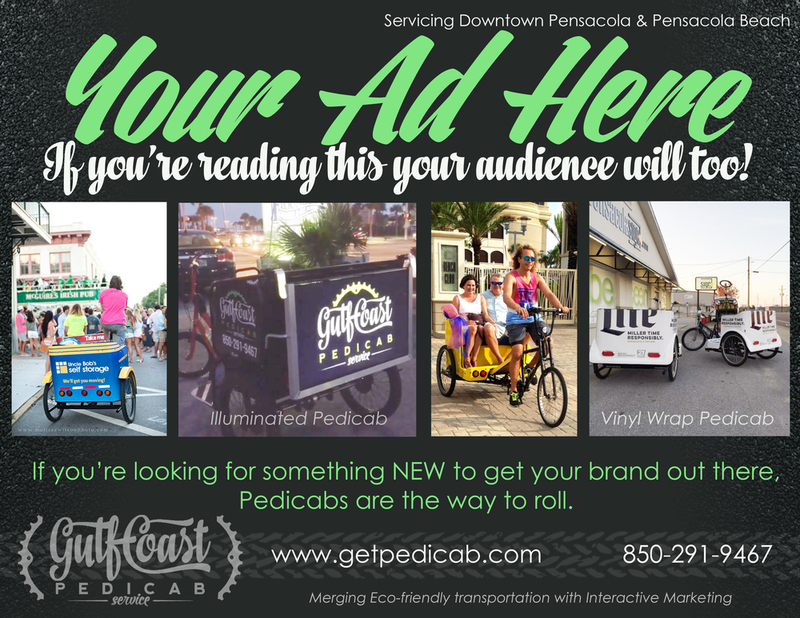 Pensacola Beach and Downtown Pensacola are growing daily and pedicabs offer brands of all sizes a new way to present and promote their product or service. 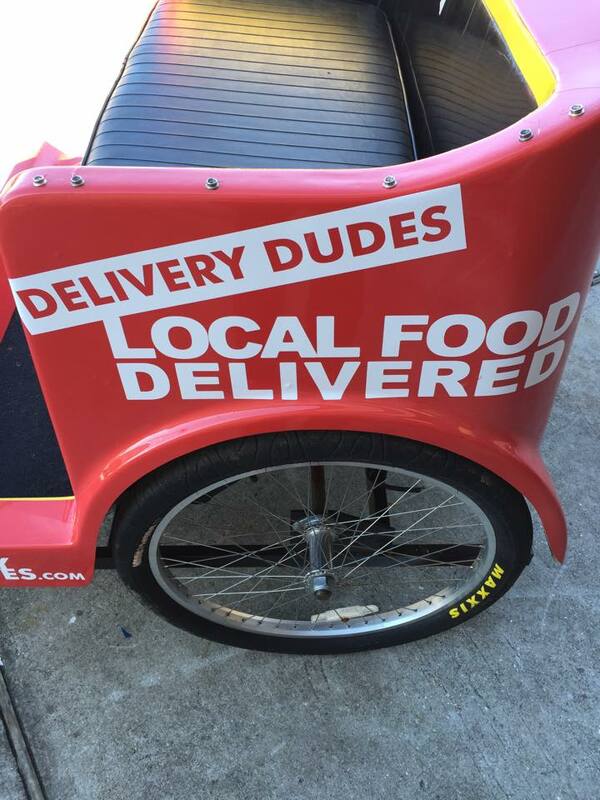 Gulf Coast Pedicab Service allows the unique merging of fun outdoor transportation and direct in-person marketing. This allows the public to interact with your brand on a more personal level. It’s intriguing and pedal powered! 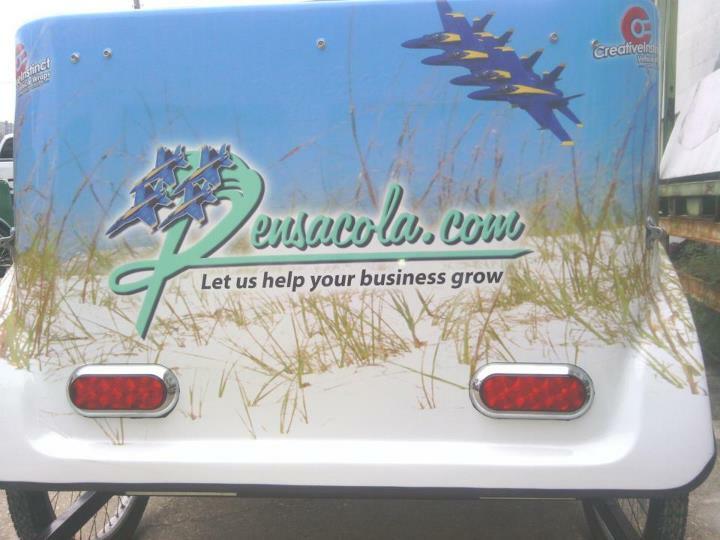 We have pedaled events all over the Gulf Coast, but Pensacola + Pensacola Beach is where we call home..
Gulf Coast Pedicab Service has become a staple at all Pensacola Blue Wahoo’s games. Pedicabs are an expected means of transportation from parking downtown to the stadium. We love supporting our local baseball team and assisting regulars on their way to and from the stadium. Gallery Night in the heart of downtown Pensacola has been a steady leader among our busiest of nights. Masses of locals and tourist come together in a merging of all ages to enjoy music, art, and cuisine. Pedicabs are a fun and safe form of transportation on these nights. Pedicabs often run into the early hours of the mornings, pedaling customers that may be unfit to walk or drive at the time. Bands on Beach is a local summertime favorite with beach and downtown Pensacola regulars alike. Kids of all ages enjoy this family fun night on the sand. 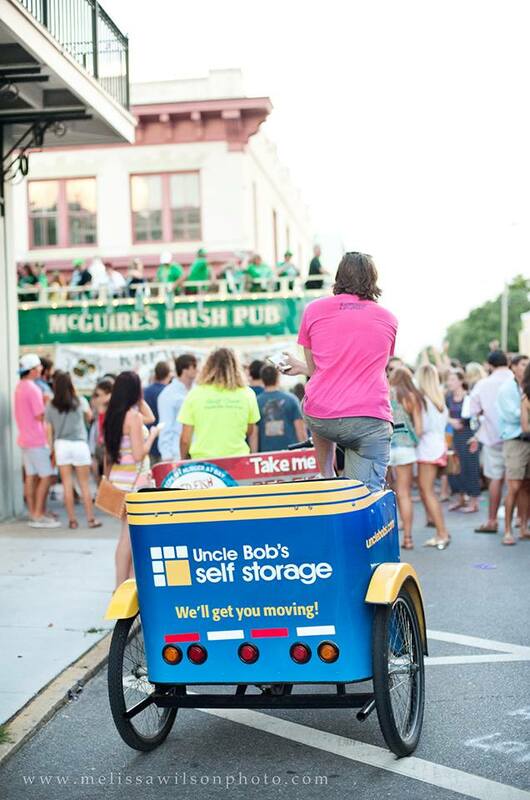 Live music, warm atmosphere, and pedicabs to keep you off your feet! The Pensacola Bay Center is a yearlong attraction and weekly opportunity to catch a ride on a pedicab. From Hockey games to concerts we love pedaling guest from car and box office! Let us know your sponsorship goals, so we can match you with a campaign that will achieve them! Ready to get your brand rolling? Looking to advertise? Let us know if you are interested in receiving our media kit on interactive and eco-friendly marketing. We will send you our custom pricing and advertising design after a brief phone or in-office consultation. We want to ensure we are the best fit for you and can reach your marketing goals!